Living in the countryside means having shoes with out mud on them and tights without holes are rare...However the views and backdrops are stunning and you cant beat the tranquillity. 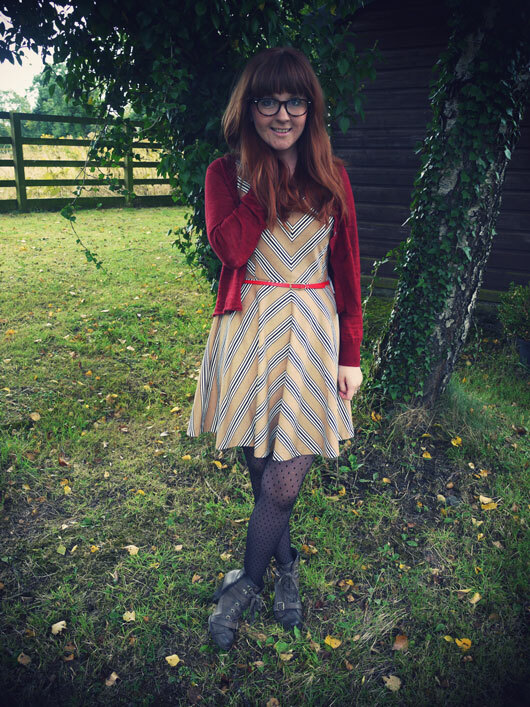 Cardigan: Mado, Dress: Oasis, Tights & Boots: M&S, Glasses c/o Proopticals. I love being outdoors too, I'm definitely not a city girl! how old are your boots? Being outdoors is the best, I ought to try and get more photos! The dress looks gorgeous on you! 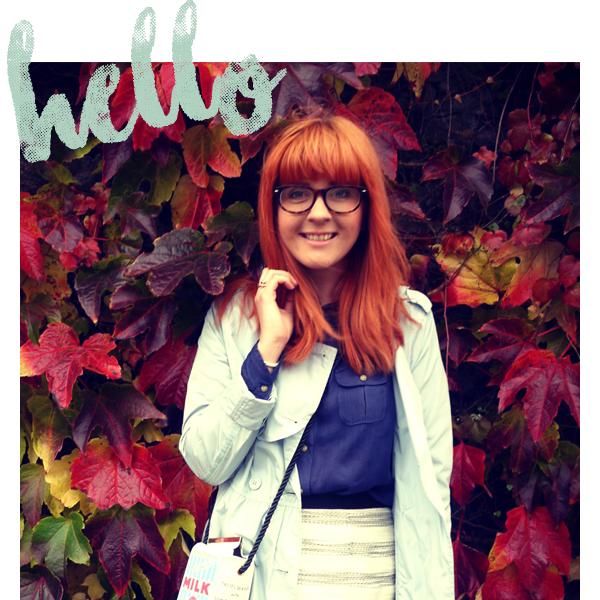 Such pretty autumn colours! I love your boots! And i see no mud on them so well done! 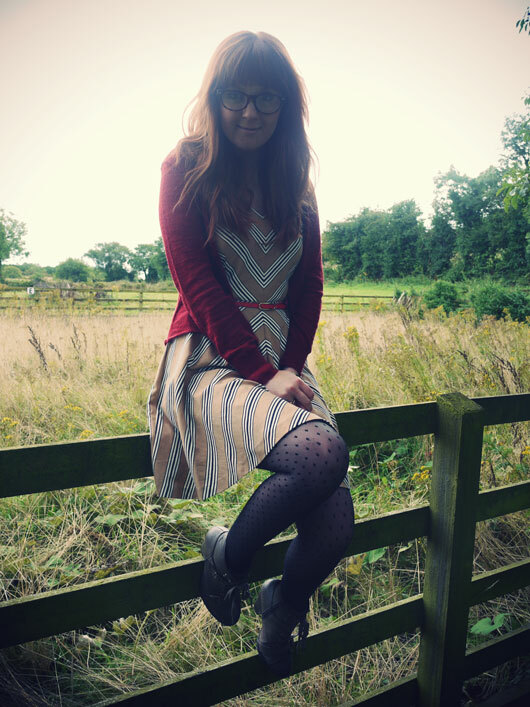 I don't live in the countryside but CONSTANTLY have holes in my tights - does this mean I have no excuse for my complete lack of respect for my tights? I am probably going to get some tights like yours soon though, I've had about 5 pairs over the years and tend to ladder them the first time i wear them so I gave up for a while but your post has inspired me to get some again! Nice to meet you today in Refound!